Built to last or built too fast? Two recent infrastructure failures - one above ground and one below - tell a story of contrasting growth paths. The collapse of a road flyover under construction in India is drawing attention to corruption, malpractice and poor planning in developing countries. At the same time, the announcement by Washington DC Metro (subway) officials that the system is suffering from years of deferred maintenance is drawing attention to infrastructure decay in developed countries. In both cases, the underlying causes are poor management and governance, which exacerbate fiscal constraints and physical planning challenges. While the Washington DC Metro case provides a cautionary tale for development catch-up efforts, are India and other ambitious countries willing to heed these lessons, or will infrastructure continue to fail after and even during construction? As the world's two most populous countries, China and India are often compared. In many measures of development, there is a yawning gap, with infrastructure one example. China is proceeding with few glitches to connect its citizens locally through subways and superhighways, nationally through high-speed rail, and internationally through gleaming airports. Dams, ports and skylines are China's vision of a prosperous future that is arguably already here. By contrast, India's infrastructure projects suffer from near-permanent delays, budget overruns and poor planning, stunting the country's economically vital connectivity and swallowing scarce resources. There are also frequent and lethal structural failures. Sports arenas seem to be the only quality public infrastructure, a perplexing reality in a society obsessed with entertainment. America's airports and highways were once paragons of developed world progress, but chronic mismanagement has left many in shambles. Indeed, the longstanding business mindset of manage-for-now has invaded governance. The Kolkata flyover tragedy represents a far greater cost than time and money. Nearly 30 people were killed and dozens injured in one shocking and unpredictable instant, a result as much of poor governance oversight as of structural failure. While shoddy workmanship can be unnoticeable and inconsequential, the dramatic and widely circulated image of a bridge collapsing onto a street bustling with midday traffic reminds the world of India's growth pains. In the wake of such incidents, commentators and government leaders often blame fraud and corruption. Hyderabad-based contractor IVRCL, blacklisted in 2009 for an incident that killed two workers, has been cited for incompetence and lax supervision in the Kolkata incident; several company officers were arrested on possible charges of culpable homicide. A sub-contractor responsible for laying concrete in the severely delayed project was found to lack industry qualifications; coincidentally (or otherwise) the owner is politically connected. Behind the machinations of an opportunistic construction industry sits a political environment rife with kickbacks, a point lost on few political rivals. Indeed, recovery efforts exposed a nasty spat over party visibility. Sadly, it is little wonder that contractors flout regulations. Prime Minister Narendra Modi's government has made a pledge to improve India's decaying urban infrastructure through foreign direct investment. The construction industry is the primary beneficiary and - like in many countries - represents one of the most corrupt sectors. Calls for more transparency in campaign contributions are loud and frequent. However, a better place to start would be transparency in the bidding and contract awarding process, including publication of information about not only contractors' qualifications but also their government connections. This practice could expose conflicts of interest and significant failures of accountability. While corruption is old news in developing countries, infrastructure decay is old news in many developed countries. Early this year, the authorities in Washington announced that some routes on the city's Metro system - which boasts the nation's second- highest ridership after the New York subway - could be closed for months to allow long-delayed upgrades. The Metro's problems have been long evident. In 2009, faulty signalling caused a crash that killed nine people and injured 90. Early last year, a rider died as a result of a tunnel fire. In April, a rapid and disorganised evacuation of two stations was carried out after a suspected mechanical fire. These are among the latest in a series of mishaps that routinely disrupt service and are now eroding public confidence. 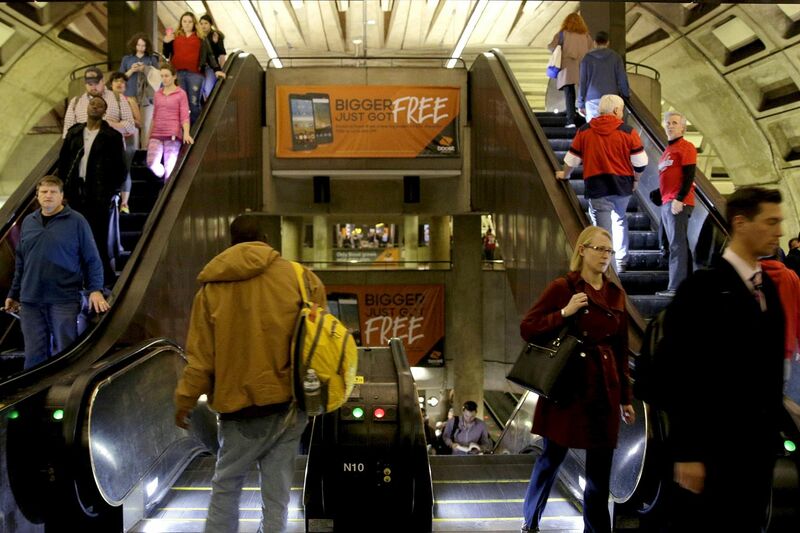 The Metro opened 40 years ago to blaring fanfare. The system was expected to improve connectivity in a city famously choked by automobile traffic. Stations were designed with style and grace - a foil to New York's dark, dingy platforms. However, the Metro now longs for New York's service quality. Disruptions, like a recent day-long suspension for maintenance checks, provide a glimpse of Metro-free life: commuters scrambling to learn complicated bus routes, jostling for parking spaces and shoehorning bike paths into commute routines. More extended disruptions are inevitable and may have a measurable impact on the capital's economy. Whose fault is Metro's "decade-long descent into mediocrity"? Blame goes beyond corrupt contractors and self-serving politicians. Failures are systemic and cultural, reflecting an attitude of deferred sacrifice concerning development. The US Congress, which largely oversees governance of the nation's capital city, stubbornly refuses to offer additional financial support. With unfunded pension liabilities and mounting upgrade costs, there is little hope for financial stability absent a revised funding model. The system now seems to be functioning on a day-to-day mindset, struggling to maintain operations, let alone catch up on chronic underinvestment. The Metro shares with India an undue focus on the present. In Kolkata, the frantic rush to completion before elections backfired. Future risks did not matter, until they became present. In Washington, future infrastructure decay arrived more slowly, but is now imposing detrimental consequences. India suffers from what a government committee in 2011 called a "massive infrastructure deficit in the urban sector". Even if overpasses stand firm, airports sparkle and metro systems hum on schedule, how long will they last? What is the life cycle of India's new urban infrastructure, and what has been secretly compromised in construction and planning processes? Are India's leaders and contractors "building to last"? In many cases, America has failed this standard. A decrepit Metro system, collapsed bridges in Minneapolis and Cincinnati, contaminated water in Michigan, and an outdated major airport in New York (LaGuardia) speak of cut corners and deferred sacrifice. Sports arenas seem to be the only quality public infrastructure, a perplexing reality in a society obsessed with entertainment. America's airports and highways were once paragons of developed world progress, but chronic mismanagement has left many in shambles. Indeed, the longstanding business mindset of manage-for-now has invaded governance. India has a dwindling opportunity to avoid this fate, but there is little hope. In the meantime, watch your step - above ground and below it. • Asit K. Biswas is Distinguished Visiting Professor at the Lee Kuan Yew School of Public Policy, National University of Singapore, where Kris Hartley is a doctoral candidate.